With 15 years of professional experience, Enrique defines the design team at Casa Nova Design Group with his unconventional ideas, distinctive style, and creative thinking. Nutter Custom Construction has a strong team with over 3 decades of combined high end residential construction experience in Sarasota and West Coast Florida. Contact us today for your custom home! Kristin Pantone will provide one-on-one design and decorating services, from design consulting to interior renovations, bringing classic contemporary styling to your home. Eridel Design Studio is a full-service, Southwest Florida leading interior design firm specializing in sophisticated and timeless designs tailored to each client's individual needs. Sully's LLC is Sarasota County's premier remodeling contractor with ample experience. Sean, owner of Sully's LLC, is a USGBC accredited professional. Let Doreen Decapua be your guide to creating a functional, beautiful home. With over 20 years of experience, the founder of Interior Concepts by Doreen works hand in hand with each client to develop a seamless plan to ease the process of renovating and redecorating. With a unique eye for color and creativity, Doreen’s attention to detail continues as she oversees the entire process of furniture and product deliveries, recommendations of professional contractors, answering any questions that arise. I look forward to working together to create your dream space. As a design consultant and homeowner advocate, Margo Bohaty streamlines the process of building or renovating your home in a way that makes your experience wonderfully positive, productive and fulfilling. We are an architectural drafting & design focusing on residential home and condo remodeling. 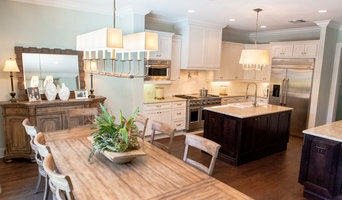 Nouveau Homes creates as-built plans and works in-between the homeowner and other remodeling specialists. A Coastal Home is an interior design studio that focuses on residential interiors as well as remodel and new construction selections. A Coastal Home serves clients throughout Sarasota County. Every Nautilus Homes project starts with a vision, a dream – The Owner’s Desires. In some cases that vision is captured by the architectural team working with the owner. Since March 14, 1984, Eurotech Cabinetry, Inc. has been Sarasota's premier cabinet company. Our name has become synonymous with high quality products, superb design applications & impeccable service. We believe design excellence is achieved by carefully analyzing every parameter affecting the development, including financial, physical, social, and environmental factors. Whether traditional, contemporary, or somewhere in between, Angela Rodriguez Interiors are interiors with soul. Custom designed and unique to each client, we create spaces to enrich, express, and inspire everyday life. Layered yet harmonious, these are the spaces where you love to live, and in a busy world can not wait to return home to. Please visit our website, AngelaRodriguezInteriors.com, for more information, larger design portfolio, and answers to frequently asked questions. We are thrilled you have found us and look forward to your visit! Our highly-trained kitchen & bathroom designers will assist you with each step of your home improvement project. We always put attention for beauty and usability. Sarasota Kitchen & Bath Remodelers -Transform Your House into a Home! Our goal is to apply our experience & creative solutions to deliver a project that exceeds our clients' expectations. We deliver quality results on time within budget & to our customers' satisfaction. With over 1,300 home design commissions, Phipps has created spectacular, award-winning designs for over 25 years with grand estate homes averaging more than 4,000 square feet. HALFLANTS + PICHETTE is an award winning modern Architecture studio with offices in Sarasota and Tampa. Our goal is to create thoughtful, high quality modern designs that respond context and function. Our approach to modern architecture is process-oriented and deliberately avoids preconceived solutions. Halflants + Pichette provides a range of services that include architecture, interior design, custom furniture, design feasibility studies, master planning, and full construction services. John Pichette is both a registered architect and a licensed contractor. After serving for four years with the US Air Force, John completed an intensive five year professional program at Andrews University in Michigan. John has served as project architect for numerous commercial and public projects. He has managed the design documentation and construction administration for over 40 buildings, including numerous local and state AIA award winning projects. Michael Halflants started his architectural education in Brussels at the Institut Superieure de St Luc. He then earned a masters at the University of Florida, where he was awarded the gold medal, the college’s highest design honor. Upon graduation, Michael was a project designer with the Polshek Partnership in New York City. In 2007, the University of Florida honored him with the Young Architect Award. In 2012, Michael was awarded the National American Institute of Architects award. As a tenured professor at the University of South Florida, he teaches graduate design studios and the modern housing course. Michael currently serves on Sarasota's Planning Board. He is a native French speaker and conversational in Dutch. 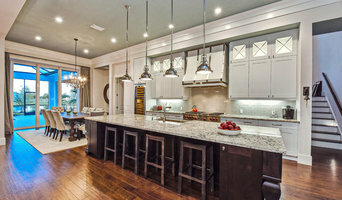 Nutter Custom Construction has a strong team with over 3 decades of combined high end residential construction experience in Sarasota and Lakewood Ranch. The result is increased efficiencies for the client, whether a remodeling or new home construction job. From site selection, through completion, this award winning home builder does it all while providing exceptional concierge level service to our Sarasota and Lakewood Ranch clients. Clients enjoy having the experts that work on their Sarasota home all in one location, and all working together totally committed to the ultimate goal - a Sarasota or Lakewood Ranch area home filled with creative grandeur combined with quality workmanship and completed on time. Recognized by USF Fast 56We are proud to be recognized by the University of South Florida Fast 56. The USF Fast 56 identifies, recognizes and celebrates the 56 fastest-growing USF Bull-owned or Bull-led businesses in the world. The USF Fast 56 not only celebrates their success, it also provides a forum to pass lessons to the next generation of Bull entrepreneurs. MyGreenBuildings is an award-winning luxury home builder in Sarasota, FL crafting high performance custom homes along the waterfront and barrier islands. I practice a collaborative approach to design with my clients; listening carefully, questioning deeply, and striving to solve the most difficult challenges with elegance and grace. The Vision Team offers a unique combination of experience & foresight to assist you with your plans. No matter your project goals, our design-build process will allow your vision to become a reality! We build unique residences from cottage to contemporary styles, in established communities. The Vision Team includes Mike Padgett, Kevin Ionta, Cary Vorbeck and Suzette Lamson, sharing experiences on nearly 800 projects in the Sarasota/Bradenton area. Whether you need your home expanded, weatherized, modernized, or all three, the Vision Group is the right choice for your next quality home improvement or remodeling job. We have a vast amount of experience in home building and remodeling in the Sarasota area market. Our ability and knowledge in Sarasota new home construction will directly translate to you getting the most cutting edge Green construction methods and energy efficiency out of your home remodeling construction project; we strive to maximize your value. With over 25 years of award-winning experience & an outstanding reputation for establishing new design standards, Thomas Richard Kelly is one of the premier kitchen & bath designers in the country.